Saying you support gender equality is easy; the real challenge arises when you try to prove it. 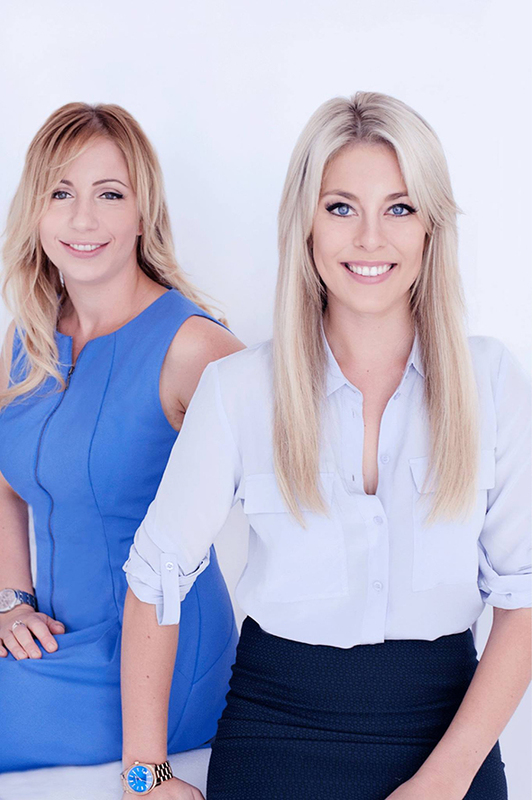 Gemma Lloyd and Valeria Ignatieva, two young Australian women successful in the IT field, have taken the responsibility of countering the gender bias issues that women face on a daily basis. Diverse City Careers (DCC), a comprehensive platform, inspires women to pursue rewarding careers despite any gender stereotypes or biases that might serve as obstacles in their way. What makes their startup unique is its selectivity when choosing the companies that advertise with the platform, ensuring these companies stay true to their promise and create a gender-equal and supportive environment for women. DCC bolsters the companies that show true commitment to supporting women, while inspiring the companies it rejects to improve their policies and inner culture. As of today, Lloyd and Ignatieva have become leading authorities and key speakers on gender inclusion and diversity issues in Australia. What inspired you to pursue a career in the IT field? What were some difficulties you came across on your way? G: Both Valeria and I actually “fell” into IT, rather than proactively choosing it as a profession; but we absolutely love what we do. While we have worked with some really good companies, we also worked with some archaic boys’ clubs, where we experienced some challenges. When I was on the same level as forty-year-old white males, they would treat me like I was their assistant. There were also times I would go out to see a client, and the client would look me up and down and say, “Are you the one to talk about my technical solution?” Those unconscious biases against my gender and my age were the main challenges I found. V: I had some challenges with companies I couldn’t land a role at; they were mostly around requiring flexibility. I am really passionate about helping other women identify how they can get that flexible role, essentially position themselves and say, “This is what I can deliver to the business.” I am passionate about helping women pursue rewarding careers on top of being able to fit them into their lives with children, or whether they are building an app or training for a sport. How is your approach to the gender inequality at work different from others in the efforts to increase gender diversity? G: We are virtually the only job site that says “no” to employers. We turn down 10% of the employers who apply to advertise with us, and it creates that social change, as the 80% of those rejected go on to improve their workplaces. Another thing is, we include men in what we do; everything we do is about gender-neutral parental leave, gender-neutral flexibility, and using men as advocates as well. V: We also take the positive approach; we call it “positive reinforcement”: we elevate the companies doing good things and use them to inspire others. We are all about sharing these stories, both individual and of companies. How would you describe an ideal business environment that modern companies should work towards? V: An ideal scenario is, you just go into the office and you can see people being themselves. We are seeking companies that have that holistic approach. Take, for instance, startups. Obviously, small businesses don’t have the policies in place like the large ones; however, I have had so many conversations when they had so many stories to tell, which paints a really good picture even though it might be a small company. It’s about an environment where the woman would come in and feel like she can be herself. G: It’s not just about the numbers or having 50/50 women at the workplace, it’s all about that inclusivity, whether the people can go to work, be themselves, and bring an idea to the table. It’s truly about treating everyone equally. What advice would you give to our aspiring readers who want to pursue careers in nontraditional fields? G: Know your value and your worth because early on in my career, working in those male-dominated industries, I didn’t stand up for myself as much as I should have. Identify the good companies because those are the ones that deserve you. Join women’s networking groups because it sometimes can be lonely if you are one of few. Getting out there is scary, but once you are into it, it really helps progress your career. V: Women should remember that, even though it’s tech, there are still so many opportunities that they don’t realize. You could have no networking background, but still contribute in many other ways. You can always complement other people’s skillset if you are not “technical.” You never know who you can meet, so just get out there and go to these networking events as well, if you are thinking of a career in IT.